Get to know… Vitamin R! Get to know our DJs! // How long have you been involved with CJAM? Since January 2019 – I kinda just started. // How did you become involved as a CJAMmer? I was interested in showcasing some work locally. 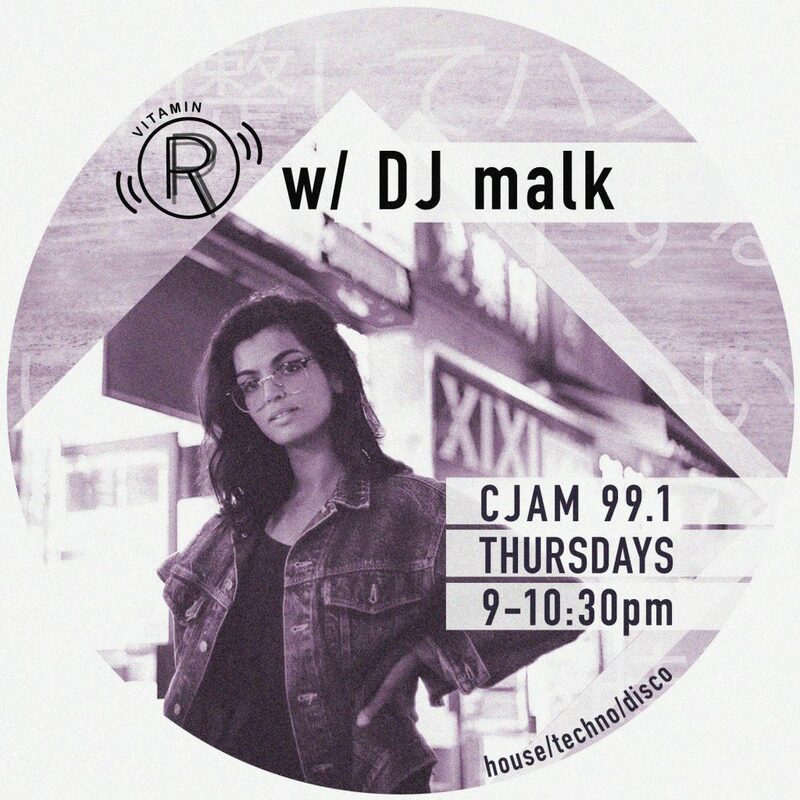 I reached out and luckily CJAM had an opening for a weekly underground electronic music program. I snagged the opportunity & Vitamin R was born! Vitamin R showcases underground electronic music with an emphasis on house, disco, and techno; although it welcomes a variety of styles. I see it as a platform for underrepresented artists to share their selections & tunes however they wish. // Your favourite artist or topic of discussion? Oooo, I definitely get passionate when discussing inclusivity for women, minorities, and LGBTQ+ people in dance music. That’s something I really hope to push on the show – so get at me if you’d like to play! When I’m not playing shows in Toronto, I’d say pretty standard, relatively mundane B.Ed stuff…studying, stressing, eating…you know how it is. // What was your best live music experience? This is a hard one because I’ve been to so many great shows throughout the years. Recently I saw Kerri Chandler, Omar S, and Turtle Bugg in Detroit which was pretty surreal. I would love to catch Octave One and Moodymann in Detroit sometime as well. // What do you love most about CJAM? I love that CJAM gives us hosts the creative license to do pretty much anything that we want (within reason) on our shows, and spread whatever message we find important to us. If you spoke to me a year ago I wouldn’t have imagined that I’d be doing a weekly international radio series, but I’m super excited that CJAM is so receptive to our ideas. Want to hear Vitamin R? Hear it live on Thursday nights at 9pm on 99.1 FM, on our livestream at www.cjam.ca, Cogeco digital cable 285, or the Tunein App. You can also Check out the CJAM archives online at www.cjam.ca // Simply click on the programming tab – find the program & stream or download it from the website. It’s that easy! Boker Tov is on the air right now! Call 519-971-3630 in Windsor or 1-855-344-2526 in Detroit or drop us an email to let your voice be heard.